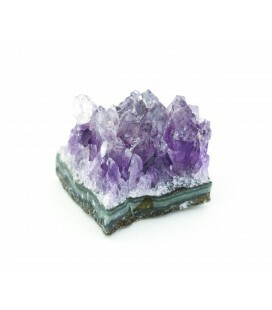 Amethyst unpolished mineral stone for energy attraction. Material: Mineral. Wooden carved figurine in reddish tone wood. 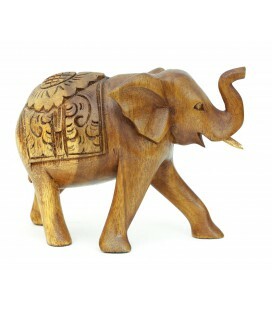 The figure of the elephant appears standing with the front legs separated and the trunk upwards, symbol of good luck. Across the back it has a carved tapestry with floral motifs. Material: Wood. 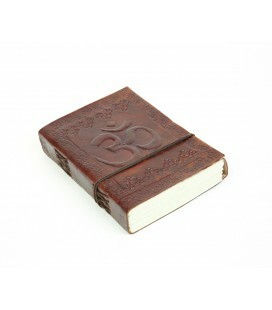 Small notebook with leather covers with engraving of Om symbol and lateral valances. Material: Leather. 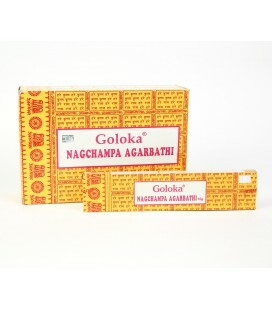 Satya Goloka incense. Pack: 12 units Material: Incense. 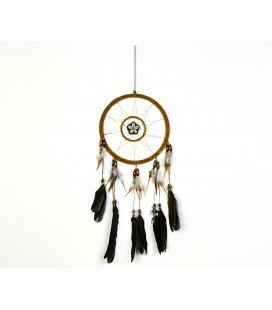 Dreamcatcher with star in brown base with brown wood. Material: String, plastic, feathers and wood. Quilt with leaves paisley pattern motif. 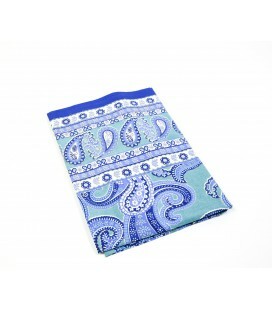 Three blue tones combined with white patterns. Material: Cotton fabric. Bead bracelet in several rows of color mixed with stones in gold of different sizes. Material: Metal. Poster on wooden board with worn tricolor base and black text. 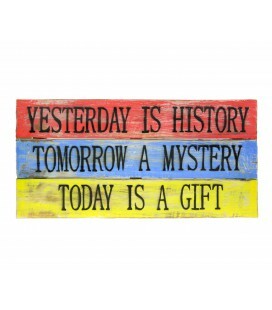 "Yesterday is history Tomorrow a mystery Today is a gift" emblem. Material: Wood. Find a wide selection of products in our shop and style your home and life. Find a selection of minerals, dreamcatchers, figurines, quilts, notebooks and more products in Reserva Natural. 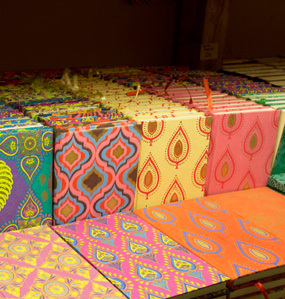 We pick our catalogue and bring every product from all around the world. Surprise yourself!